Focus on Furniture’s Melbourne store is beautifully located in the heart of Melbourne at South Wharf DFO Outlet by the Yarra. Buying furniture at our Focus on Furniture Melbourne city store is more than just a shopping experience. Our furniture store is ideally located at South Wharf DFO Outlet situated amongst Melbourne’s premier shopping precinct by the river. Beautifully located on the banks of the Yarra, surrounded by Cafe’s, restaurants, fashion and colour we encourage you to make your experience not just about buying furniture, but embrace the Melbourne experience by enjoying a day out in beautiful South Bank. Our DFO store is our largest furniture store and showcases our entire furniture range, including lounges, living, bedding, occasional furniture and accessories. We regard our Melbourne South Wharf store as our flagship furniture store with our full range available on display in our beautiful, expansive showroom. Even if you live remotely in regional areas and are shopping in Melbourne for a day out, pop into our Melbourne furniture store and you might find exciting additions that haven’t made it to your local Focus on Furniture store yet. 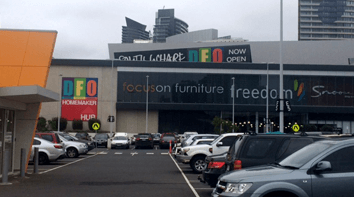 South Wharf DFO Outlet offers more than just Melbourne’s best value furniture store. DFO South Wharf is home to over 100 leading Australian and International stores that offer massive discounts off their every-day retail prices, all under the one roof. DFO features a successful formula of fashion, children’s wear, footwear, handbags, jewellery, accessories, manchester, sporting goods and apparel and of course furniture. There are food options for every taste, making it easy to replenish in between shopping for bargains. From coffee to snacks and full restaurant meals, you can grab a bite from one of the beautifully appointed cafés. What makes our furniture store better than all the other Melbourne furniture stores? Perfectly located just minutes off the Westgate freeway our South Wharf Furniture store offers easy access with ample car parking and perfectly located next to the open air carpark. You can’t miss our store front and once you’re inside you will be pleasantly surprised by the massive size of our furniture store. Quite simply we believe we offer the best value furniture in Melbourne. We’ve positioned ourselves in the furniture market to accommodate the discerning buyer who is looking for value for money. The furniture store that Melbourne needed. Focus on Furniture had previously located it’s furniture stores in regional and suburban areas. After much feedback we knew we needed to bring affordable furniture to the Melbourne CBD. 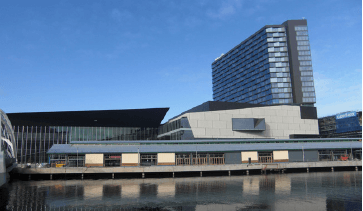 After some time at South Wharf, we now know our furniture has a place in Melbourne and look forward to continuting our stronghold in the Melbourne furniture market. Our Melbourne furniture store at South Wharf offers simply the best value furniture in Melbourne city. With leather lounge suites from as little as $999, giant six seater fabric corner chaises from only $1299 and quality timber bedroom suites from as low as $1199, the evidence is clear; we offer the best value prices on offer in Melbourne. We promise. So call into our South Wharf DFO store today and try our furniture for size. Like everyone else that comes through, we know you’ll be pleasantly surprised.